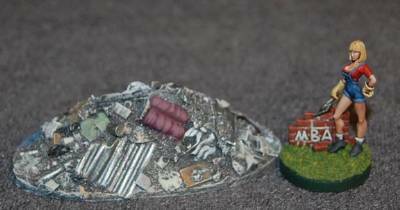 28mm scale - Small Trash Heap. These come unpainted. Figure is not included.